Dr. Leonard Coldwell's Curing Life 13 CD Package. 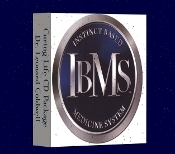 This CD package is recommended in Dr. Coldwell's book- The Only Answer To Cancer. Fear of Flying, Pain Relief, Seaside Getaway, Woods Retreat, Trauma Erase, Test Anxiety, Muscle Power, Youthful Beautiful You, Power For Sales, Successful Relationships, Play to Win (Tennis)+ Dr. Coldwell System Cds: Stop Smoking & Weight Loss.